The CANgineBerry fits directly onto the Raspberry Pi 3. Delivery includes a set of screws for proper fixation. 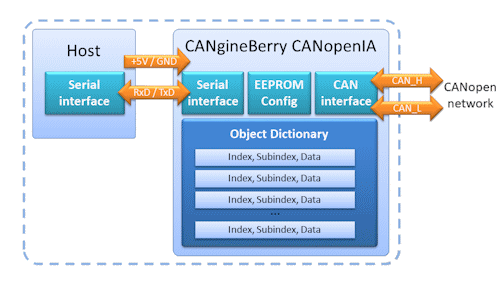 Linux command line utilities can be executed to program and configure the CANgineBerry.